These days, we’re always worrying about the security of our family. To protect us, while we browse the Internet, we put up firewalls. If there are intruders, our alarm system wards them off. We install security cameras as a safety measure. However, we must remember what our first line of defence and secure entry is—our doors. The security level of your doors determines the probability of an intruder successfully breaking into your home – or not! There are certain things that intruders traditionally look for when they target a home. These indicators tell them if your home is vulnerable and can easily be broken into. Know this, fasten your security and avoid becoming a victim. When someone, like a serial home intruder, observes that you frequently open your door; are coming and going and not locking it they will seize on the opportunity to break into your house and sweep your valuables. During summer, we tend to open the door to let some fresh air in and to save on AC costs. And that’s all good and ok of course if you have a security screen door fitted. If you have window frames that are falling apart or if you have a security door that’s broken or sagging, an intent home intruder would most likely target those as potential entry points. Install a sturdy security door system, and you’ll are deterring burglars, making life real difficult for them to break in and destroy lives. Because of course you value the safety and peace of mind of your family as your number one priority. Home security is an investment in the future well-being of your family and contents of your home. Security doors are of course, by design, much stronger than ordinary doors. They add another layer of protection against forced entries. Here at Rockingham Home Security, we offer a wide range of security doors that have passed and even exceeded the Australian Standards for Knife Shear, Impact and Anti-Jemmy tests. Most of the time, intruders attempt to enter a home through the front door. 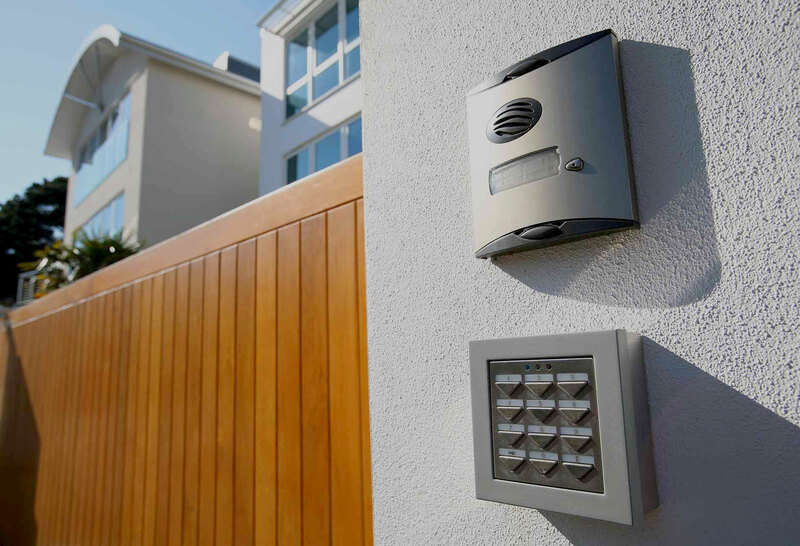 Once they see a security door system installed, they’ll quite often simply walk away. Small-time thieves typically carry basic break-in equipment that cannot smash through a sturdy security door. Combine that with a reliable alarm system and your house isn’t likely to be targeted by burglars. Aside from deterring break-in attempts from burglars, there are also other lifestyle and financial benefits from installing a security door. When you add improvements to your home, you also increase its value. Whether you replace the countertops, enhance the bathroom or add an outdoor kitchen, you are adding to its value. The same goes with installing a reliable security door. Here at Rockingham Home Security, we offer a line of decorative security doors that will increase your home’s aesthetic appeal and security value. You can have a security door installed with an elaborate design, like fancy iron work, or an embedded coloured glass. We manufacture to suit the security and aesthetic needs of our clients. When you have a security door, simply open your primary door and let fresh air in. You’ll get to save on electricity costs, especially during late afternoon of the summer months. Keep the security doors shut and still have fresh air coming into your home. If you can prove that you can add to and make improvements in your home’s security, you can possibly lower your home and contents insurance rates. With a security door installed, you are making it more difficult for thieves to break in. Consequently, the insurance company normally consider your home as less of a risk. Install an alarm system at your property and you can also most likely lower your insurance rates further. Rockingham Home Security also offers a quality alarm system that will cover your specific security needs. To help decide on the security door you need, please take a look at our buying guide below.